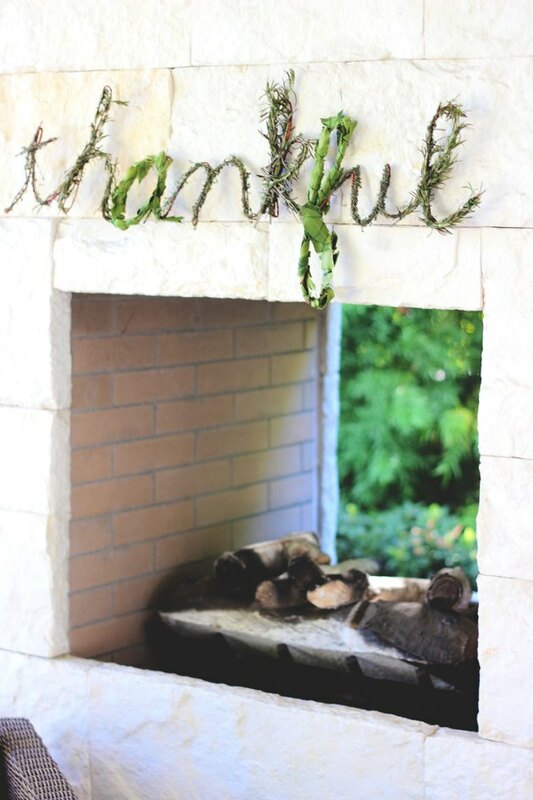 Thanksgiving is a time to express our gratitude for the many blessings in life, and this sign that spells out the word "thankful" is a lovely way to do it. Fashioned out of fresh herbs, the fragrance makes your house smell absolutely divine, and it certainly gets you in the mood for all that Thanksgiving cooking. 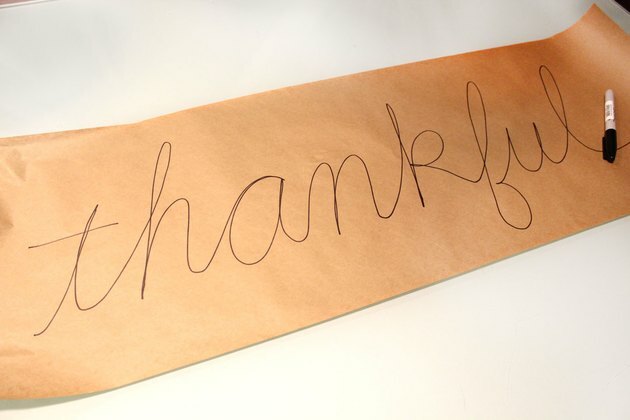 On a large piece of paper, or even some newspaper, write out the word "thankful" with a dark pen as your template for the sign. Keep in mind that scripted letters are easier to turn into a sign, as the letters run continuously without any gaps. 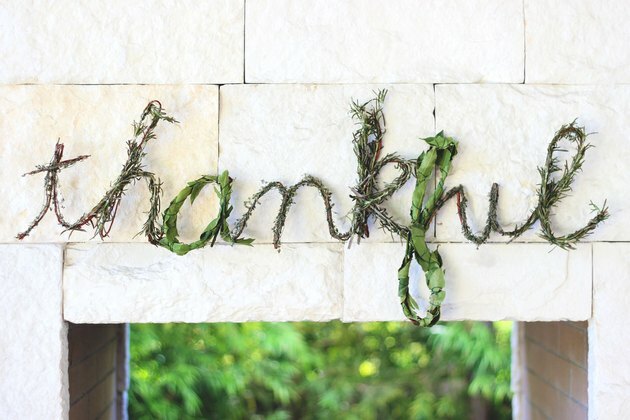 Aim for a sign that is at least 30 inches wide; the larger the letters, the easier it is to wrap the herbs around them. Bend hemp-covered coiled wire on top of the template to spell out the word. 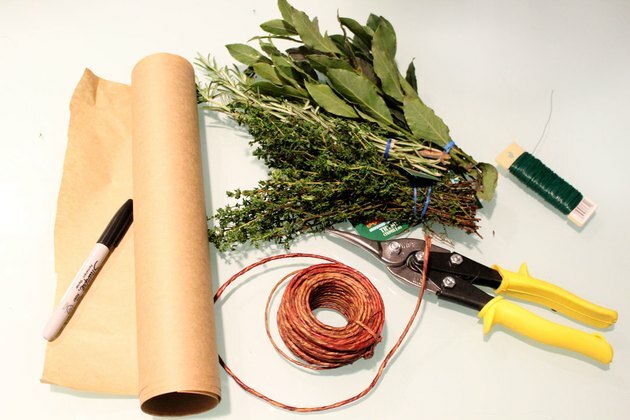 Coiled wire, which is available in the floral section of the crafts store, works perfectly for this project because the hemp covering makes it look good even before the herbs are added. 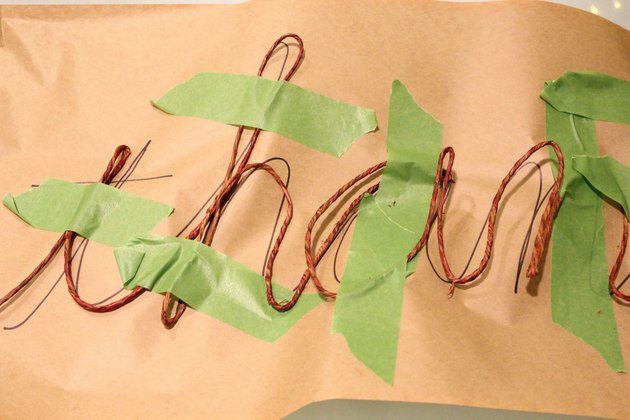 As you work your way around the letters, the wire will want to move around, so tape it down with some masking tape as you form each letter. 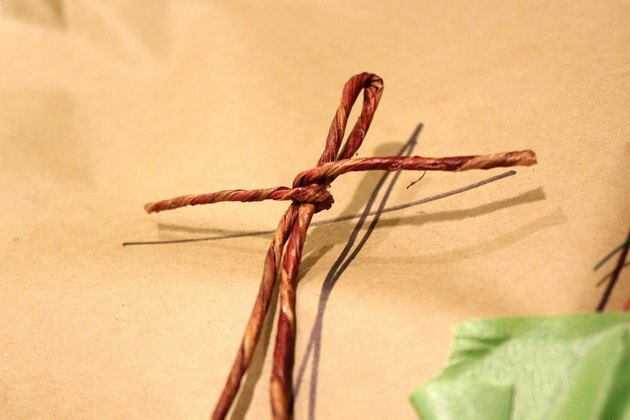 Cross the "t" by cutting a small piece of coiled wire with some wire cutters and wrapping it around the upright part of the "t."
Reinforce the areas where the coiled wire overlaps by tying some paddle wire around the intersection area. For example, in the letter "h," the coiled wire intersects with itself at several points. If these areas are not tied down, the word can come undone. You can use any thin wire to reinforce these joints, but since we're using paddle wire in the next step anyway, it's easy enough to just cut a small piece of the paddle wire. As you reinforce each letter, you can remove the masking tape that's holding it down. When you're finished, the sign should lay flat. Bend the wire to make adjustments, if necessary. Of course, your finished word does not have to match the template exactly; if it reads clearly when you step back, you did a great job. The best type of herbs to use for this project are woody herbs like rosemary, thyme and bay leaves. 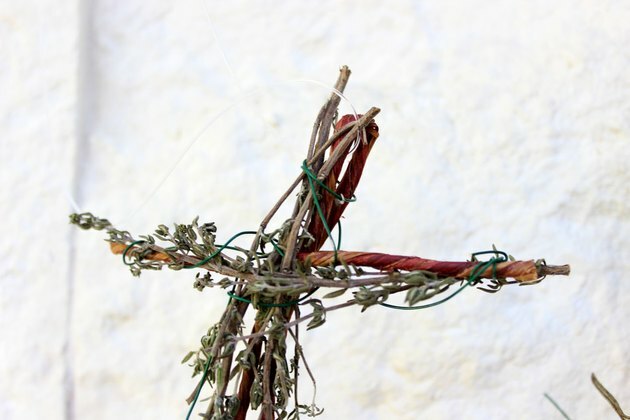 These herbs hold their shape as they dry, unlike soft herbs like parsley and basil. Those would wither in a few hours. 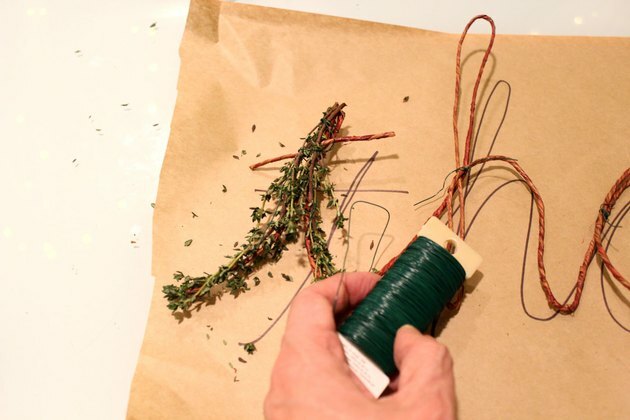 Starting at the "t," place a sprig of your first herb (we're using thyme) along the coiled wire, and secure the sprig with paddle wire. 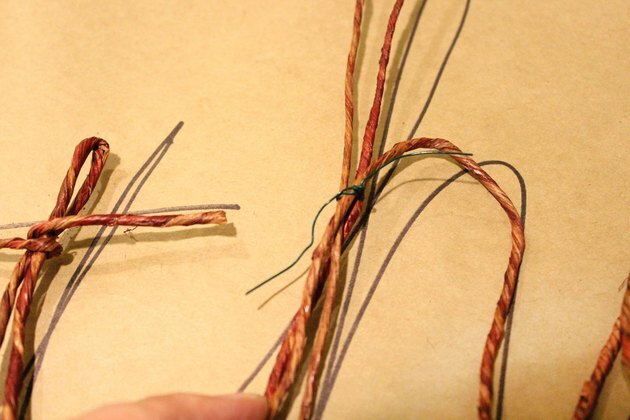 Paddle wire is useful for this project because you can keep wrapping it around the letters as you progress without having to cut and tie little pieces of wire. Continue around the letter until it is completely covered with the herbs. For the next letter, switch it up and use another herb. On letters like "h" where there is a lot of overlapping and looping, feel free to overlap the herbs as well. 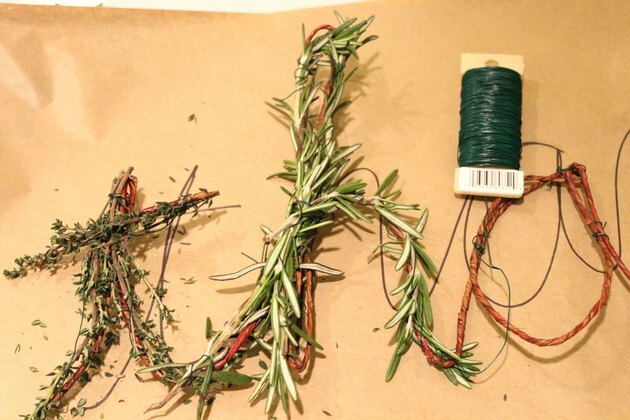 Even if the herbs become bushy because of the overlap, the paddle wire will keep them contained so the letter is still defined. Continue covering all the letters with herbs until the word is completed. Tie a length of fishing line to at least three points on the sign—one at the far left, one at the far right, and one in the middle. The fishing line in the middle is particularly important so the sign does not sag. Then secure the fishing line to tacks, nails or 3M Command Strip hooks that are on the wall. 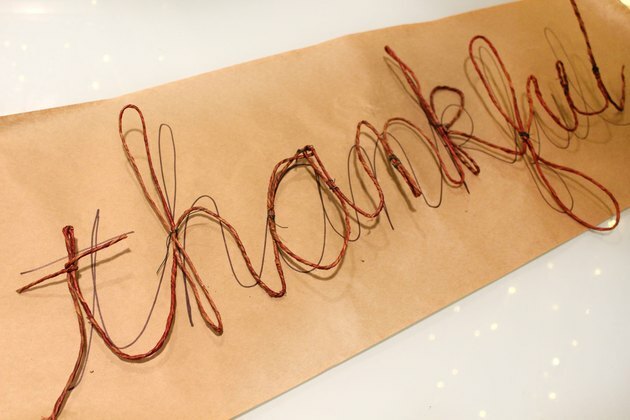 Hang your "thankful" sign for the sweet smell of gratitude.